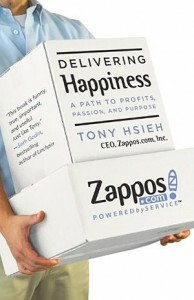 I’m quiet picky when it comes to buying books, however buying “Delivering Happiness” was an impulse decision. As I was skimming through the pages of this book at the bookstore, Tony convinced me to buy it with this sentence: “For college, I applied to Brown, UC Berkeley, Stanford, MIT, Princeton, Cornell, Yale and Harvard. I got into all of them.” It turned out to be a very good decision, because I enjoyed this book a lot. It combines personal story telling with lessons learned and good business advice. 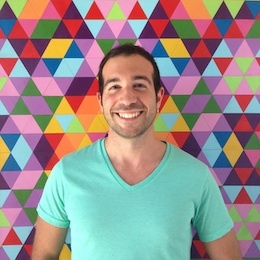 He combines his personal story with the companies he founded and sold, LinkExchange and Zappos. I bought shoes from Zappos when I was in the U.S., stores were spread around and it was hard to find good looking shoes at those stores. I didn’t have a car, and I didn’t have a lot of time, so it made a lot of sense to order them online. Free shipping both ways was a great friction reducer, I wouldn’t have tried it out otherwise. I made a list of the happiest periods in my life, and I realized that none of them involved money. I especially liked the section where he makes analogies between poker and business. I think this story has a lot of resemblance with Facebook’s story, both founders are from Harvard, and both of them are not eager to sell their companies. Instead, they are looking to build a company that will be a lifetime endeavor. Definitely give this book a try if you’re interested in stories of successful entrepreneurs.